This is the first time I’ve found a register that has both an index that is interspersed by village AND separated by year. It was probably much easier for the clerk to record at the time. It took me about 10 minutes of clicking through the pages to find the correct village. This is one feature that the vademecum website lacks. 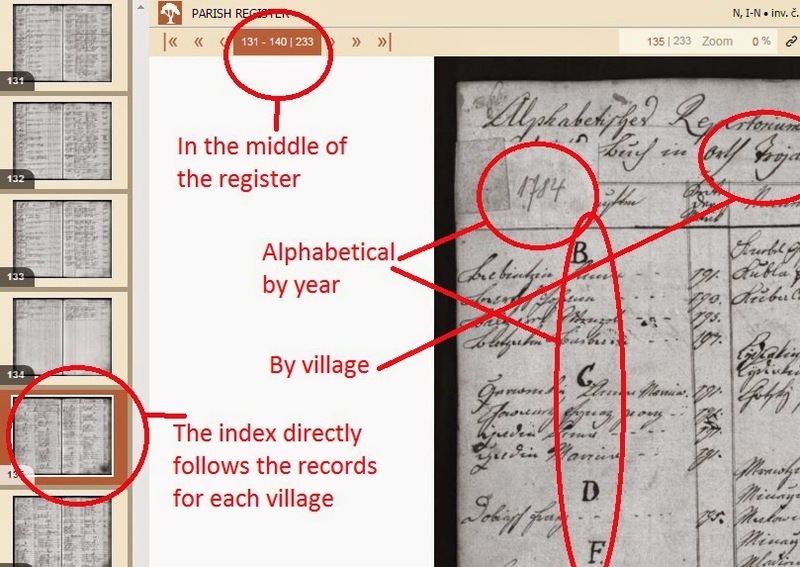 I wish the name of the register on the website would list the names of the villages in the same order that they appear in the book. Alas, I have not yet figure out the “order” of the villages in the online register titles.